Dr. Williams has been serving Shallotte and the surrounding areas for over 15 years. Growing up in Robeson County he would travel here with his family and it fostered his idea to live in this area. He graduated from UNC Chapel Hill with a major in Biology and a minor in Chemistry. While studying he was involved in the Teacher's Assistant Program which allowed him to teach laboratory classes such as Anatomy and Physiology, Quantitative Chemistry and Organic Chemistry. When choosing a dental school he selected Boston University, where he graduated in the top 5% of his class. 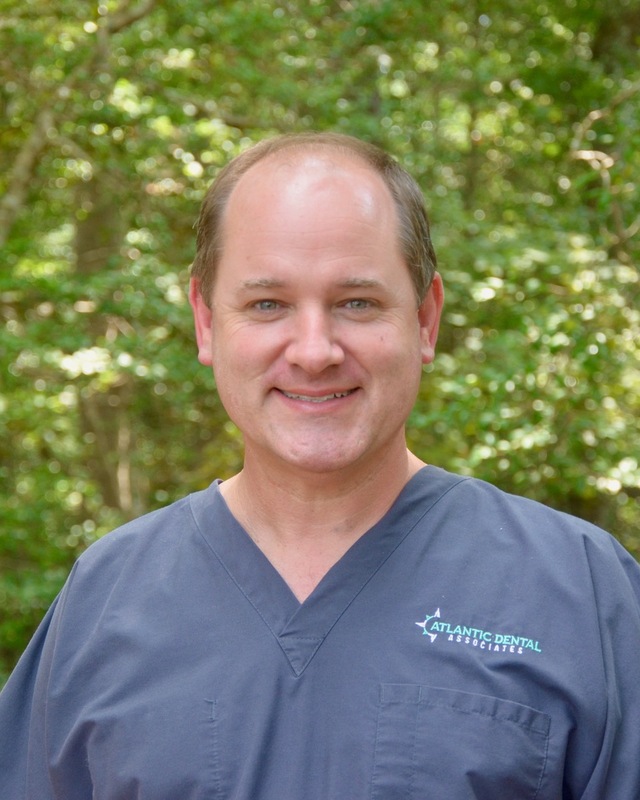 Dr. Williams is a member of multiple dental organizations including The Academy of General & Cosmetic Dentistry, The Grand Strand Dental Society and North Carolinas 5th District Dental Society. To be involved with his community Dr. Williams is currently the dental representative for the BC Board of Health. He has served as Chairman on the BCC Foundation Board and now serves as a Board of Trustees Member for Brunswick Community College. He has been a member of the Holden Beach Board of Adjustment and a member of the Holden Beach Renourishment Program. He is a member of the Shallotte Rotary Club. Outside of dentistry Dr. Williams enjoys the many outdoor activities this area has to offer. He is a member of the Holden Beach Chapel and most importantly a father to 2 beautiful children. “Always welcomed by professional and caring staff. Dr. Williams is great about explaining procedures and takes time to answer any questions.” –Linda G.
Dr. Caudell is a native of Saint Pauls, NC. He attended East Carolina University for undergrad where he was a member of the inaugural Honors College class and majored in Biology and minored in Business Management in 2014. He then attended East Carolina University School of Dental Medicine where he obtained his Doctorate of Dental Medicine in 2018. 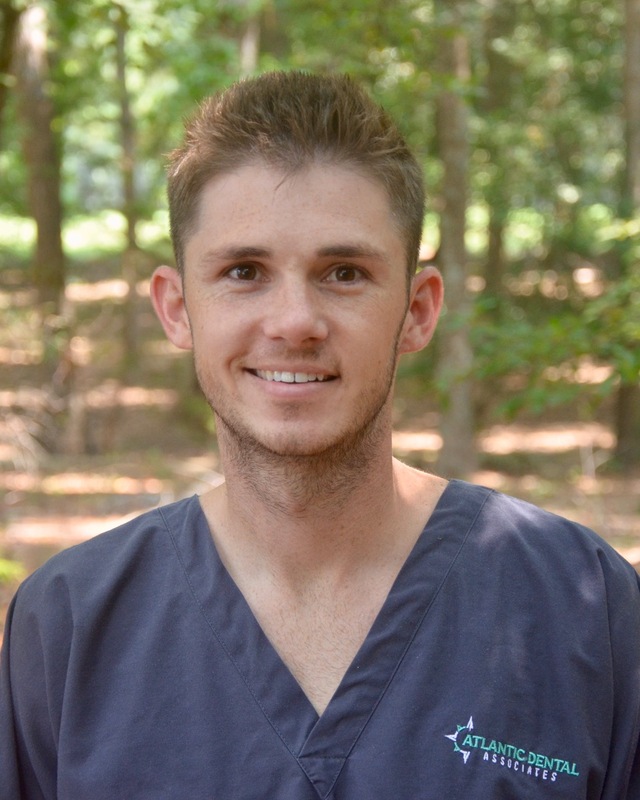 Dr. Caudell recently moved to the area upon graduating. His family grew up spending their summer days and weekends in Brunswick County where he dreamed of one day working and serving the community. Dr. Caudell enjoys playing and watching sports, boating, the beach, and many more outdoor activities in his free time with his family and friends. He also enjoys playing with and training his two Chesapeake Bay retrievers in his off time. Dr. Caudell remains current and up to date with the latest developments in dentistry. He enjoys meeting all his patients and making a personal bond with them to ensure the highest quality of care and experience possible. Michelle grew up in Wilmington, North Carolina. 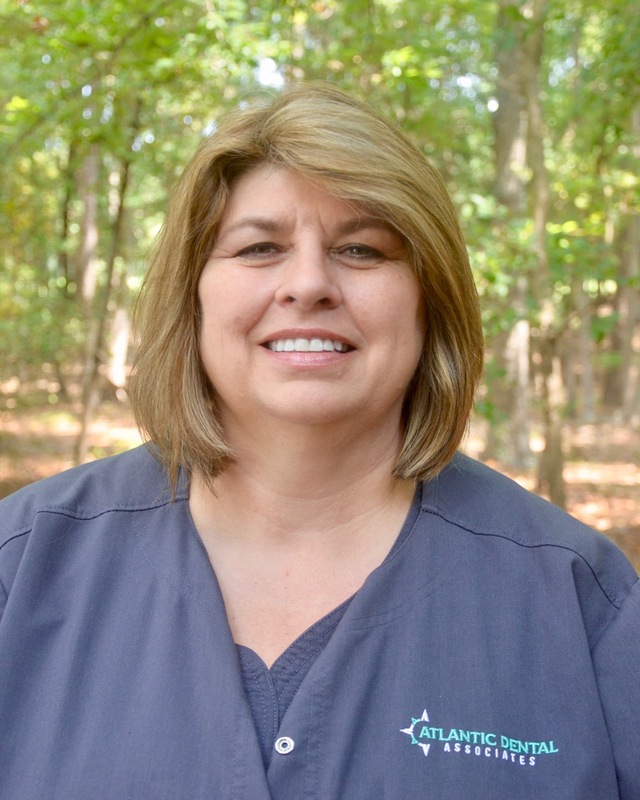 She received her degree in dental hygiene from Coastal Carolina Community College in 1994 and has been with our office ever since. She feels that with twenty plus years in the same office it has given her the opportunity to know her patients and watch their families grow. Michelle enjoys spending time with her dogs and family. Kristi was born and raised in Brunswick County. She currently lives in Sunset Beach with her husband Brandon and two kids, James and Gray. 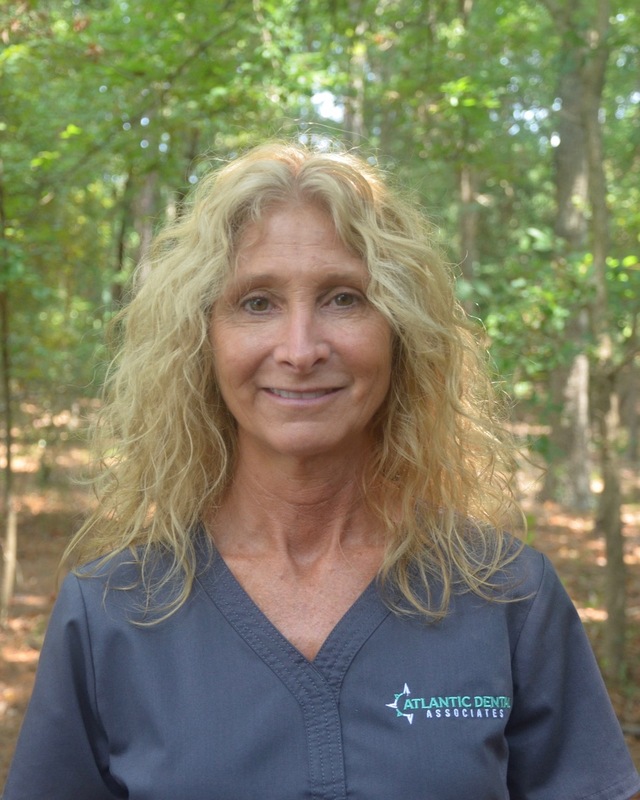 She received her dental assisting degree at Cape Fear Community College in Wilmington, NC. Kristi enjoys being on the water, spending time with family, and making people smile. Betty is originally from Long Island, N.Y. and now a happy resident of Supply, North Carolina where she has resided for the past twenty two years. She worked for seven years at Autumn Care as the medical records secretary, and then came to join our team fifteen years ago. Betty enjoys her grandchildren, gardening and cooking. She loves to try new recipes on her fellow employees! Carla is a native of Columbus County, growing up in the Crusoe Community. She began her career in dentistry as an assistant in 1996. Carla has been a part of our team since 2006. For her the best part of the job is seeing the smiles that we help restore and getting to know our patients and treating them like family. Autumn was raised in Calabash, NC graduating from West Brunswick High School in 2014. 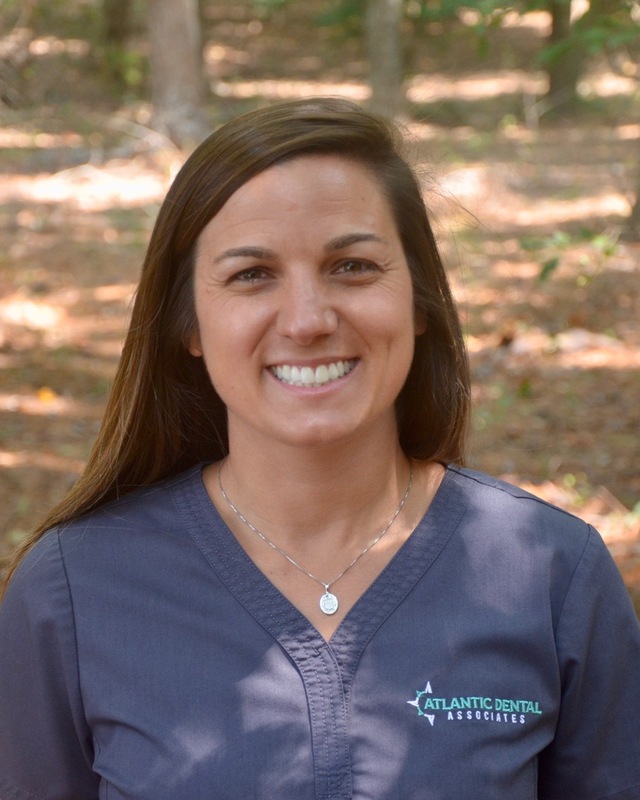 Autumn joined Atlantic Dental in April of 2018. She enjoys church, watching her sister play ball and being surrounded by her family. Donna is originally from Western North Carolina now a resident of Sunset Beach. Donna joined our team April of 2018. She enjoys spending time with her family, and being at the beach.